#63 en route to North Freedom, 1964. Ron Jones photo, MCRM collection. Wisconsin Central coach #63 was built in 1905 by the Pullman Co. of Chicago, Illinois. 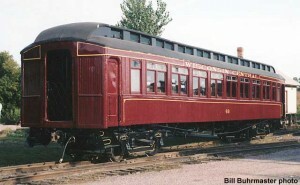 The car was one of an order for ten cars, numbered 57-66, built under Pullman’s lot #3182. In 1909, when the Wisconsin Central came under the control of the Minneapolis, St. Paul and Sault Ste. Marie (Soo Line), #63 was renumbered to #1941. 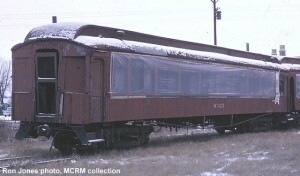 The car was again renumbered to W-323 in August 1935 when it became a bunk car and foreman’s office in work train service. In October of 1964 the #63 was acquired by Mid-Continent and moved to North Freedom. 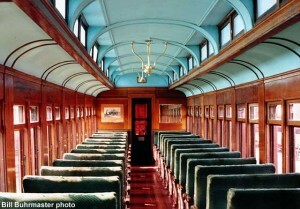 The #63 has been restored to its 1905 as-built appearance. The interior trim of the #63 and its sister cars is Mexican Mahogany with inlaid pin striping and floral patterns. 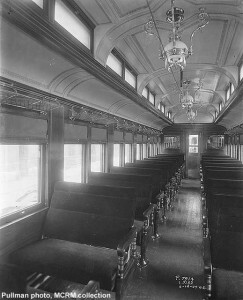 The cars were originally equipped with the Pintch gas lighting system and had green plush seats. A separate men’s and women’s washrooms were located at opposite corners of the car. The closed vestibules on the ends of the car allowed movement from car to car while the train was in motion. 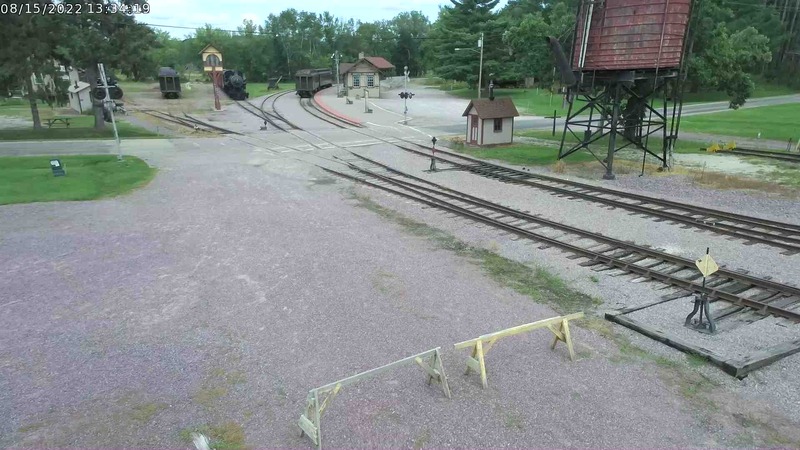 The Wisconsin Central Railway (WC) was an important Wisconsin railroad extending main routes from Chicago to Minneapolis, Ashland, and Upper Michigan. In 1909 the Wisconsin Central became the property of the Soo Line Railroad. This provided the Soo Line with a Chicago gateway. The present day corporation known as Wisconsin Central Ltd., formed from lines sold by the Soo Line, operates many of the lines of the original Wisconsin Central Railway routes.